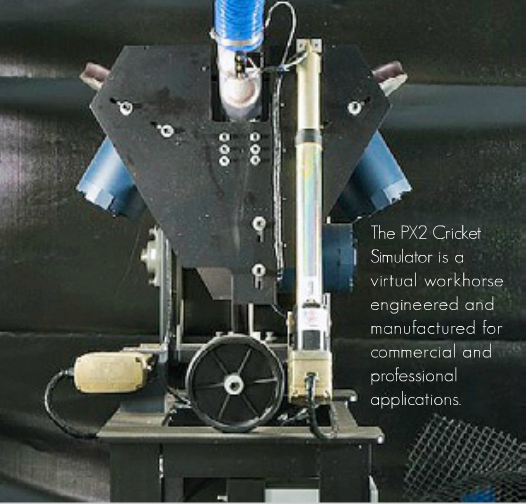 The ProBatter PX2 Cricket Video Simulator is the only one of its kind in the world and is used by a number of the top national teams and the ICC Training Center. Operated by a touch screen controller and containing a video front of an actual bowler. It is capable of bowling at between 60 and 160 KPH. The life-like simulator allows batters to experience game-like conditions resulting in improved timing, rhythm and match performances. Batters can choose from a wide variety of different, fully programmable deliveries for Pace Bowlers, Wrist Spin Bowlers and Finger Spin Bowlers including, among others, swinging, bouncers, Good Length, Half Volley, Leg Spin, Off Spin and the Doosra. Features include multiple unique skill levels with age and level appropriate videos to provide the most realistic cricket bowling simulation ever. Professional-grade, industry tested state-of-the-art technology provides years of dependability and results on Match day. Programmed for various levels from youth through professional as well as for males and females. Adjusts to simulate either right or left handed bowlers. The dual wicket feature allows the ProBatter Cricket Simulator to create realistic delivery lines, angles and trajectories when facing right and left handed bowlers, pace bowlers and spin bowlers, over or around the wicket. 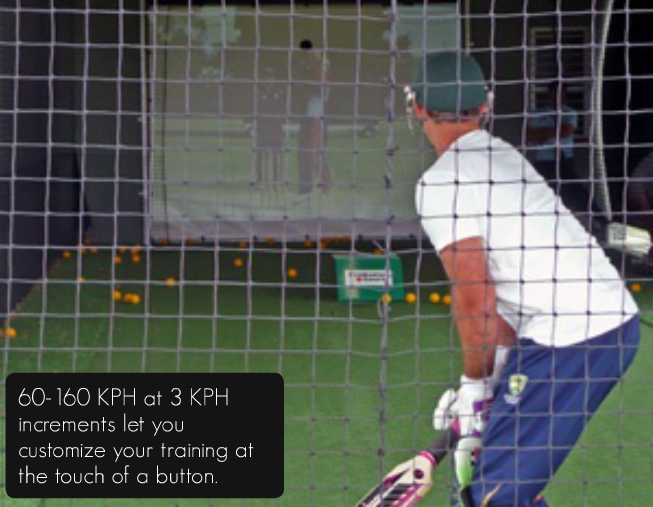 60-160 KPH at 3 KPH increments makes customizing your training at the touch of a button. ProBatter’s patented synchronized video simulator creates a dramatically realistic game-like environment. Basic one-dimensional ball machines don’t offer visual reference to a bowler’s run-up, delivery stride or ball release point and can hinder a hitter’s timing and rhythm. 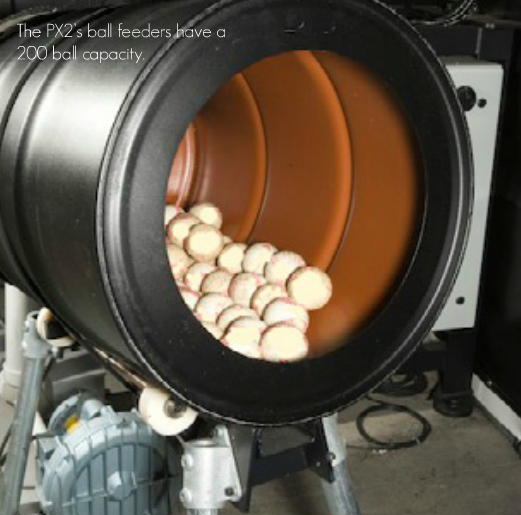 No other ball machine or training tool can provide the fully-programmable range of deliveries, ball speeds, pin-point accuracy or realistic video simulation like the PX2 Cricket Simulator. Every unit is installed and serviced by a trained ProBatter Sports specialist. All parts and equipment are manufactured to exceed the industry’s highest standards to delivery years of dependable and reliable performance. 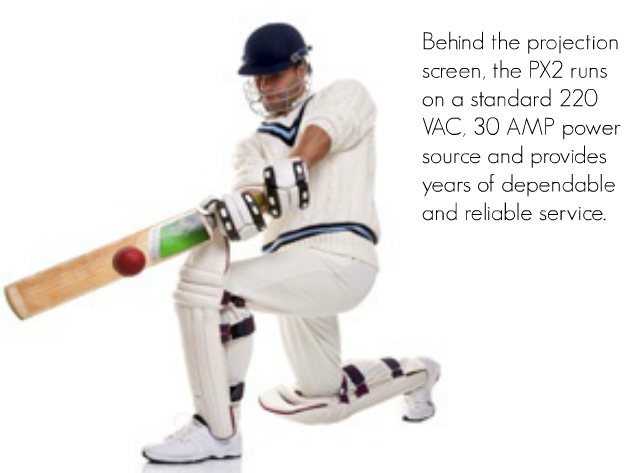 ProBatter offers a full 1-Year warranty covering all parts and labor on the PX2 Cricket Simulator and 3-Years on the system’s projector. Get the most out of your batting practice. No more wasting time on ball machines to practice your shots or being held back by a limited range of deliveries or programming. 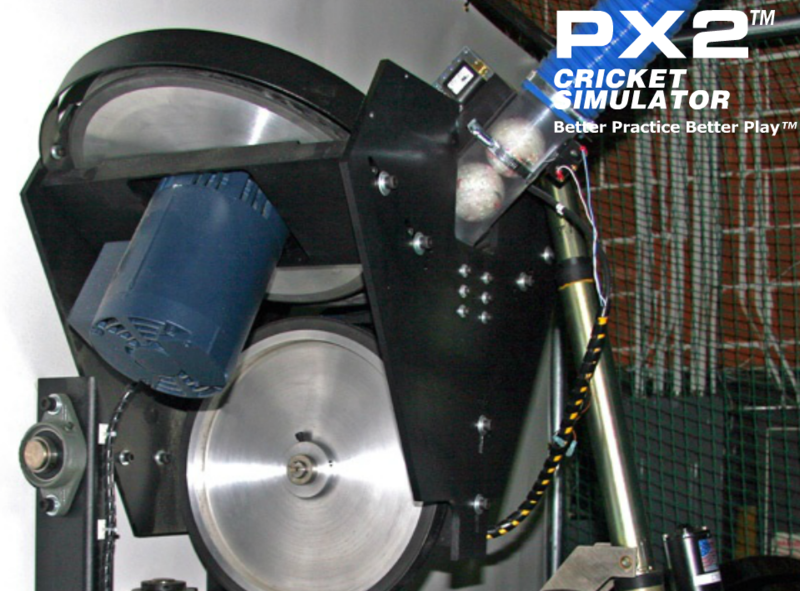 The ProBatter PX2 Cricket Simulator allows you to custom program your desired bowlers and their deliveries and bowling styles. Realistically, accurately and efficiently, the PX2 Cricket Simulator improves match performance better than any other ball machine, system or method on the market.